Although there had long been a hotel at Ōtira, the township expanded when the the Ōtira tunnel was being built, from 1907 to 1923. Accommodation for construction workers made up most of the settlement: huts for the single men and bungalows for families. 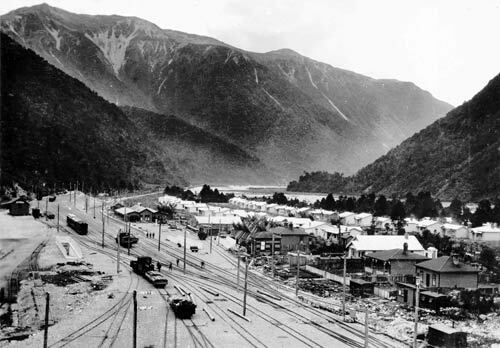 Although the population declined after the tunnel was opened, Ōtira remained a base for railway maintenance until 1999, when the remaining houses were sold.